Find the right route for your pre-event advertising and pass the promotional ball downfield when you send out Football Purple Postcards to your guest list in advance. 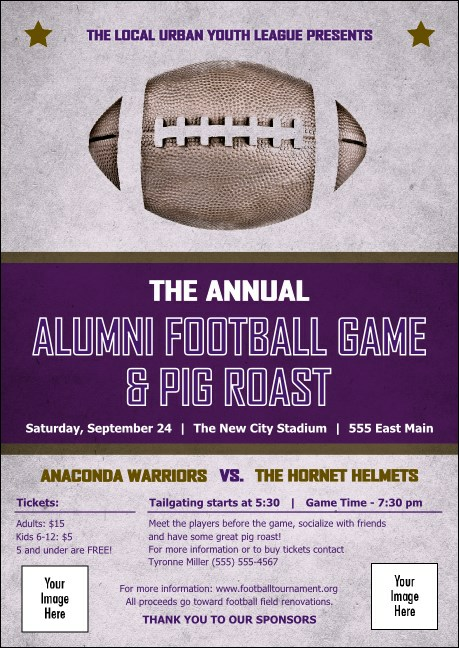 Get awesome guest attendance at your next game with Postcards that feature a newsprint background and a throwback theme with a big purple stripe in the center. TicketPrinting.com helps you spike your ticket sales.